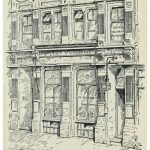 Illustration of the Central Vegetarian restaurant, where Mohandas discovered the London Vegetarians. 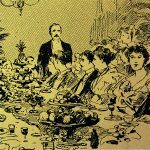 “A lecture on food”, 1882, in “Addresses and Essays on Vegetarianism”, by Kingsford & Maitland, 1912. *I couldn’t track down issues of the Truth Tester published that late, so I do wonder if it’s possible that Richard Cubeville made a mistake over the name of the magazine; but he’s been delving into the Vegetarian Society archives and I haven’t. 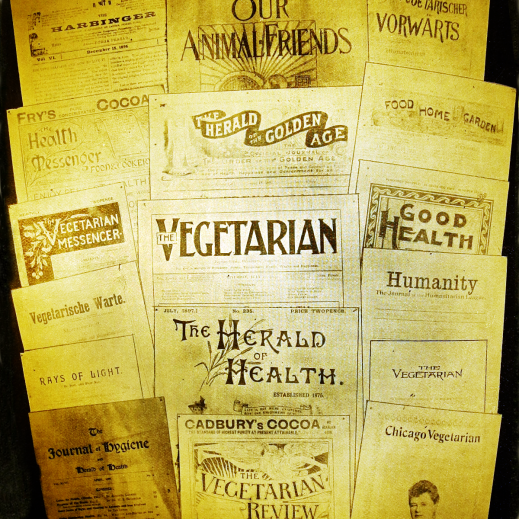 The 1840s and 1850s yielded a confusing array of vegetarian periodicals with the same few overlapping writers and even overlapping titles (“The Truth Tester, Temperance Advocate, and Healthian Journal” being three journals merged together, for example) which doesn’t make citation easier. This is the rig I used for the cycle tour around London. If the white object poking out of the basket looks a lot like a cat scratching post, that’s because it is – it’s the only appropriately sized object in the flat with a thread that fitted my microphone mount. Mazzy has multiple scratching posts, so she wasn’t deprived. covered by a grey fuzz windshield, the portable audio recorder. This was to pick up ambient noise, and was held in place by string and elastic to hopefully not be shake too much. (This only partially worked: I couldn’t use most tape of me cycling because of the noise). The theme music is by Robb Masters. Actuality of West Ham United Supporters CC-BY Hooger WS; and Civil War songs sung by the US Army Band (and hence public domain). The cover picture is a picture of a set of vegetarian magazines from around the world taken from “Fifty Years of Food Reform”. Featuring Harish Bhimani as Mohandas K Gandhi. Other parts were played by Chetan Pathak, Matthew Arenson, Ian Russell, Amy Saul, and Orna Klement. The montage of international vegetarian society foundings also included Jordi Casamitjana, Yuna Sparkle, and Adam Cardilini of VeganSci podcast. 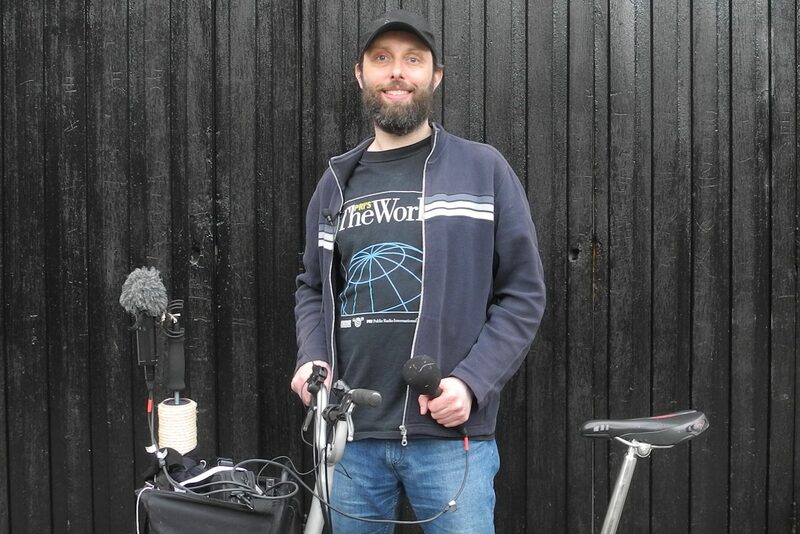 This episode was originally broadcast on Resonance 104.4FM on April 4th. Because I had a hoarse voice at the time, I have re-recorded my narration. This is also a fixed re-post, after it was originally posted with a link to episode 9 (HT Russ Wesp). Excellent show! So fascinating, and thank you for the links to your sources. I am eagerly awaiting the next episode.